At Stevenson Law Office, we bring focused as well as caring attention to the elder abuse cases we handle. This includes situations that involve financial elder abuse as well as physical abuse in nursing homes. We constantly seek out justice as well as fair results for the families that have had their trust violated by unscrupulous individuals and/or substandard long-term care facilities. Financial elder abuse usually involves the improper or illegal usage of an elder person’s property, funds or assets. An example would be cashing an elderly person’s checks without their authorization or permission or forging an elderly person’s signature. Misusing or stealing an elderly person’s possessions or money as well are all forms of various financial exploitation. 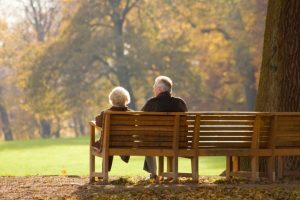 In some of these cases, estate planning tools are often used to perpetrate such financial abuse. This includes deceiving or coercing an elder into signing a will, or inappropriate usage of a guardianship, conservatorship or even power of attorney. In addition, seniors are often targets of consumer fraud. This includes telemarketing fraud as well as mail scams. An elderly relative or friend may sometimes express their concern about the possibility of financial abuse or fraud. Often, however, victims either do not realize or feel embarrassed that they have been taken advantage of. It is therefore important for friends and especially family members to look out for any unusual behavior and to seek out legal help if it is necessary. Sudden or atypical changes in banking practices or bank accounts. According to statistics from the National Center on Elder Abuse (NCEA), abuse in nursing homes is increasing throughout the country. Many experts attribute this escalating problem to the financial difficulties faced by many nursing homes as well as the increasing population of senior citizens who are in need of care. These factors may also lead to understaffing in nursing homes or even the hiring of unqualified employees. In addition, they can lead to overcrowding and also rundown facilities. Poor working conditions that are created for nursing home staff members may also exacerbate any existing issues, as the employees who are suffering from fatigue and stress may be much more likely to take their frustration out on the residents of the home. At Stevenson Law Office, we have worked on many such cases that involve physical abuse in nursing homes and we understand how emotional and difficult these kind of situations can be for both elderly victims and for their families. Physical abuse may include beating, striking, pushing, slapping, shaking, burning or kicking a nursing home resident. Physical abuse may also include inappropriate use of physical restraints or drugs, force-feeding and any physical punishment. If you have a fear that your elderly loved one has been the victim of physical or financial elder abuse, then do not hesitate to contact us here at Stevenson Law Office in order to schedule your free consultation with an experienced Los Angeles elder abuse attorney. We can help you to take the appropriate legal action in order to protect your elderly loved one from any further harm. Stevenson Law Office © 2019 | The information contained on the website is for general info purposes. No information on this website should be considered legal advice for a case or legal situation. Viewing this information does not constitute, an attorney-client relationship.